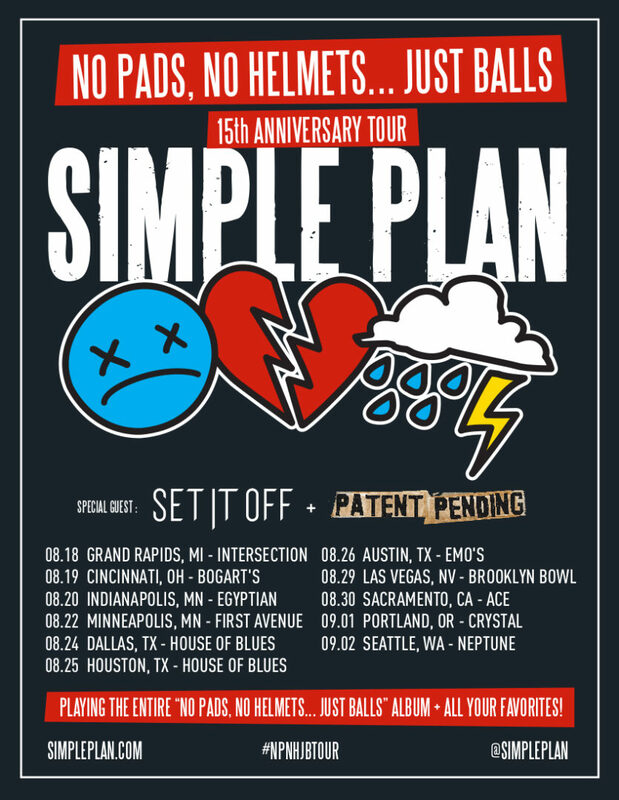 We’ve teamed up with Live Nation to giveaway nine pairs of tickets to see Simple Plan on their “No Pads, No Helmets Just Balls 15th Anniversary Tour” with Set It Off and Patent Pending. You can find out how to enter, after the break. Want guaranteed tickets to your local date of this tour? Head over to LiveNation.com to purchase tickets!